It was an early start to the morning on October 3 as students from Morrice Elementary rolled into the driveway of the Rose Lake State Game Area deer check station in their school bus. 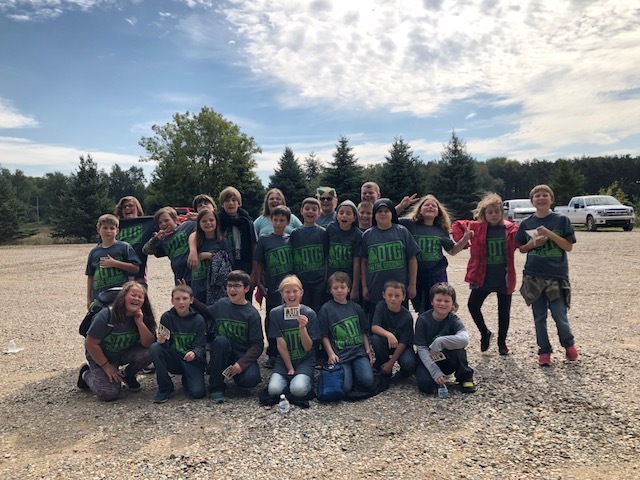 On board, there were 24 eager fifth-grade students lead by teacher Morgan Chapko ready to get their hands dirty and spend the day outside of the classroom. Myself, Education Director Shaun McKeon, and Intern Ian Fitzgerald kicked off the morning by leading the kids on a nice (unintentionally long) walk to the work site where we met up with DNR Wildlife Technician Chad Krumnauer. 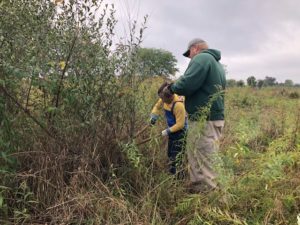 Upon arrival, Chad familiarized the kids with the area and then introduced the project at hand: a day of cleaning up a grassland field at Rose Lake State Game Area. The goal for the kids was to remove large sticks and rocks that hinder tilling the field in preparation for planting native grasses and flowers that will soon become upland habitat for local populations of wildlife. Luckily for the adults, fifth graders have an impeccable sense of imagination and were able to make the work seem more like fun for everyone involved. As the work went on, we discussed what invasive species are and how they impact the natural environment around them. Students were encouraged to think of plants and animals that they are familiar with as they worked, and what their role in the environment may be. When the work portion of the morning was over, students had removed all major rocks and sticks, as well as taking down large rows of autumn olive in the field. It was a successful morning of hard work, and the field is ready to beworked into a flourishing grassland thanks to these students. 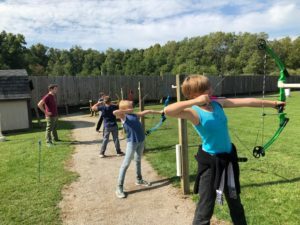 The afternoon saw a pizza party inside the Hal & Jean Glassen building at the Rose Lake Shooting Range followed by a little over an hour of archery outside. For many students, this was not only their first meaningful act of conservation, but also the first time that they had shot a bow. The OTG program was proud to be a part of shaping hopeful future conservationists and having the opportunity to introduce them to the important work that we do every day here at MUCC.